Passive 3D technology may be easy to use when talking about 3D monitors or 3D HDTVs, however building a passive 3D projection system can be quite bothersome and problematic, but they also come with advantages like full resolution per eye. Unlike monitors and television sets that already have a passive polarization filter applied to the display and you only need to put on the 3D glasses with projectors is it much harder to prepare a passive 3D setup. What you will need are two projectors of the same model, two polarizing filters and a silver screen projection screen along with the 3D glasses of course. And then comes the harder part in setting up all of these components together to work properly, attaching the polarizing filters and aligning the two projectors and all this in order to get a system that will work with cheaper passive 3D glasses using circular polarization in order to be able to have multiple viewers without having to buy a lot of expensive active 3D glasses. 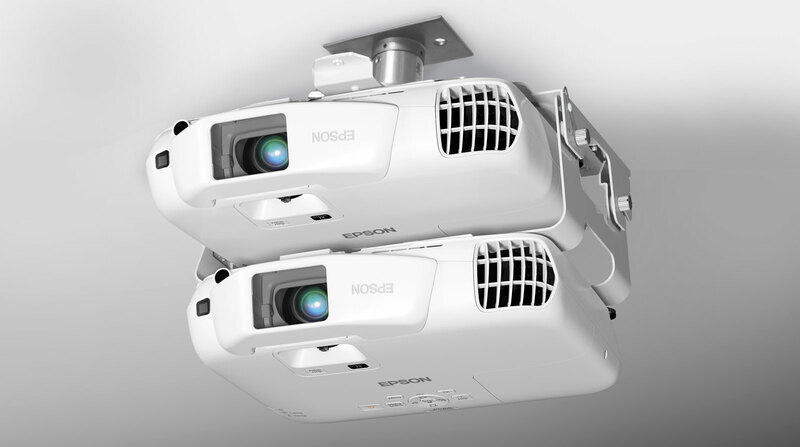 That is the reason passive 3D projector setups are not as common as active 3D solutions, but that may change as projector manufacturers are thinking about finding solutions that can save time and trouble. One such affordable solution is the recently announced Epson PowerLite W16SK 3D 3LCD Dual Projection System that can save you a lot of time and trouble building and tweaking a passive 3D setup yourself by providing you with a well built and ready to use solution. Originally Epson PowerLite W16SK is targeted for educational use where you’d need 20-30 pairs of glasses for the students and going for an active 3D solution is not a cost effective option in this situation. You of course don’t have to use it in a classroom, but also can built a small home cinema room or presentation room with stereo 3D capabilities for more than just a few persons. With passive 3D projection setups that use 2 projectors you don’t actually need to use 3D-capable projectors, cheaper 2D models should do just fine, but Epson has decided to base their PowerLite W16SK 3D 3LCD Dual Projection System on an active 3D-capable projector, namely PowerLite W16 using RF 3D glasses. And if you are thinking about 120Hz support per eye in 3D mode you can forget about it the projectors being used here are relying on HDMI 1.4 interface for the stereoscopic 3D support and are not frame sequential capable, so you get no 120Hz support. On the other hand this makes it possible to easily have support for the stereoscopic 3D content as you can send either Side by Side, Over/Under or frame packaged format to the projector. The HDMI 1.4 stereo 3D support allows greater hardware compatibility even for gaming purposes should you consider playing games as well as watching 3D movies and other uses. 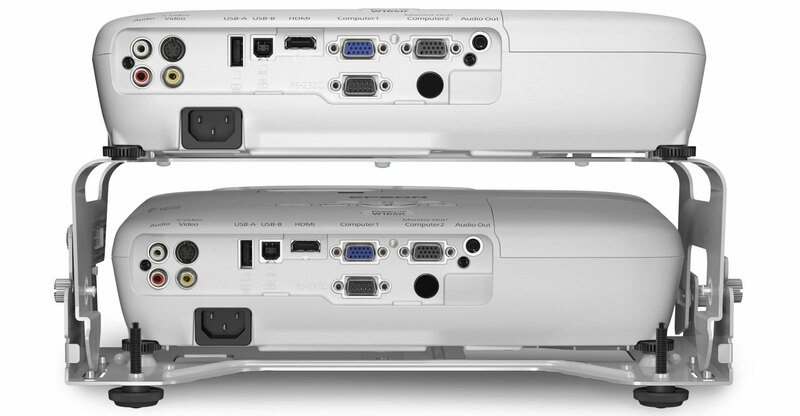 The dual projector passive 3D setup uses single HDMI 1.4 output that needs to go to both projectors and they are connected with a USB cable that ensures proper synchronization for the left and right images. 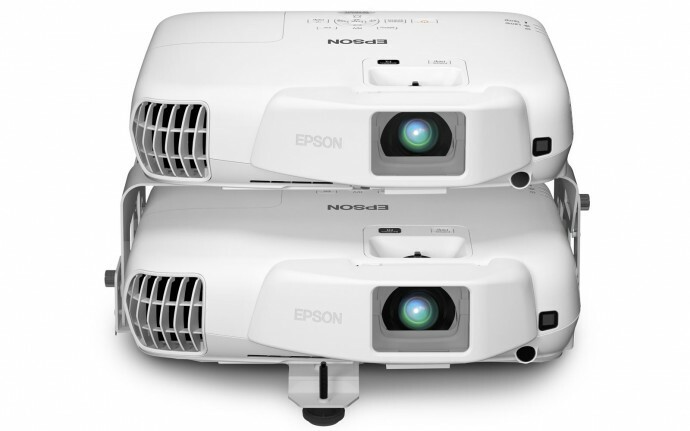 The two projectors are with native resolution of 1280×800 pixels, but according to Epson they can work with in 720p 3D mode or 1080p 3D mode where the input image would obviously be compressed to the lower resolution of the projector. What Epson has done with the their PowerLite W16SK 3D 3LCD Dual Projection System is to save you the trouble of figuring a good way to attach the projectors properly and fit the polarization filters , this comes factory preset done in a good way, so all you need is to insert the setup and do some image adjustments. The price of the Epson PowerLite W16SK passive 3D projection setup is $1899 USD and that only includes a single pair of passive 3D glasses, but more of these can be obtained at a very good price. What you need to consider is the fact that you will also need a silver screen to project on in order for the light to be reflected back to the viewer with the same polarization as the one it is being projected with. According to Epson their 3D setup is useable for projection on screens with a diagonal of up to 120 inches, so you should plan a silver screen with up to that size. 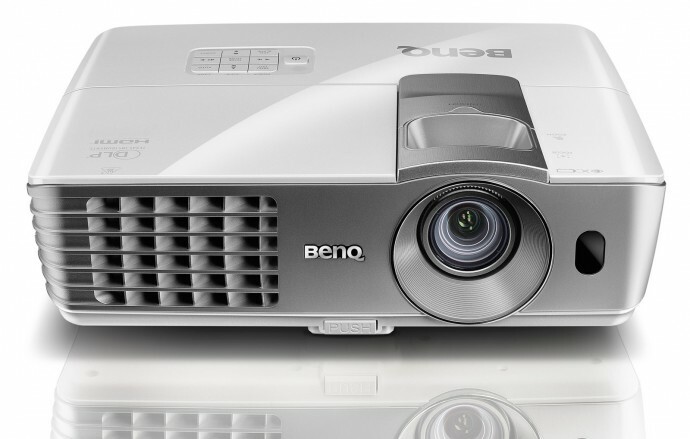 Epson also recommends a silver screen with a gain of 2.3 – 2.7, so you will have to plan a few hundred extra bucks for the projection screen, but in the end the cost of such a setup will still be more affordable than going for an active 3D projector setup if you have to buy something like 10 or more pairs of glasses. So Epson’s approach gives an interesting alternative and an option to easily build a passive 3 projection setup as opposed to an active 3D one and aside from the 3D support, their solution can also be used for combining the two projectors’ brightness for increased total level of brightness when in 2D mode. And should you need to you can always detach the projectors and use them separately including in 3D mode, but with active 3D glasses instead of passive, so definitely a versatile and quite flexible solution. So if you are considering building a passive 3D projection setup you should have i mind this new offering from Epson as a good option, unlike of course you have some kind of extra needs not covered by this like for example support for native Full HD resolution, 120Hz refresh rate and so on. – Name the file with your display model and upload it in the forum. 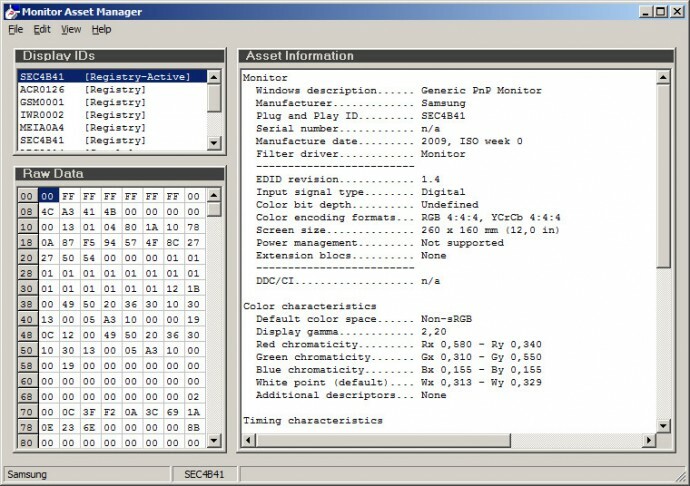 When posting the INF driver for your 3D display it might also help if you include some additional information, such as what interface the monitor is connected over and if you also have some sort of adapter or maybe a receiver connected between the computer and the display. This might be important especially for HDMI connections where you may also need to have support for audio over the interface and not only the 3D video.